This bed is built of maple with a white satin lacquer finish. 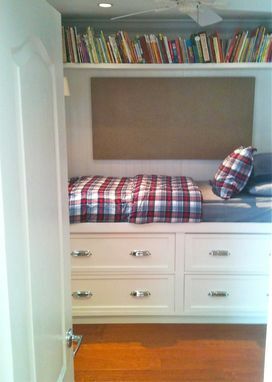 Four large drawers provide storage below the bed, while a beadboard accent wall is behind the bed. 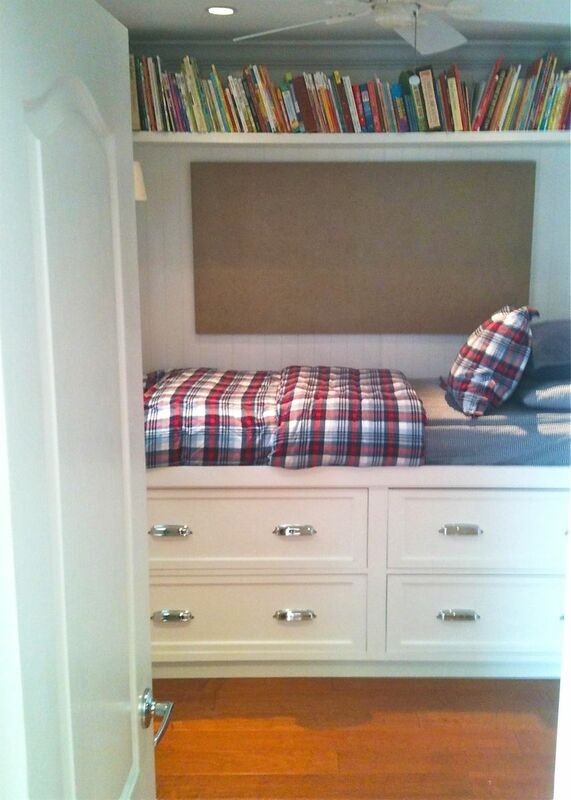 An overhead bookshelf provides additional storage in this small bedroom. This bed can be fully customized to meet your needs.